Sam Pess (sophomore) and Waruguru Waithira (senior) were composed and honest while they spoke of the hardship and terror their grandmothers and great-grandmother endured. Their respect and admiration for their family are clear in the careful retelling of stories their elderly family members shared with them. Pess and Waithira’s grandmothers are from Greece and Kenya, respectively. Pess and Waithira both credit their cultural background as foundational to their strong relationships with their grandparents. 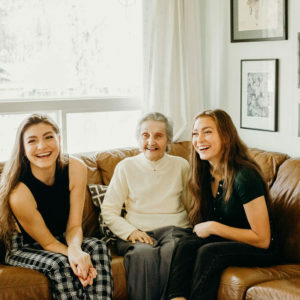 Pess spent the summer of 2018 home in Seattle to care for her grandmother, Kleopatra Pess, whom she calls Yiayia, which means “grandmother” in Greek. They spent nearly every day together, sharing a close and special bond. While Pess acknowledged it was challenging to set aside her own priorities for her grandmother, she felt it was the expected action to take. Kleopatra suffers from heart issues and vascular dementia, according to Pess. The challenges of caring for a family member are shared by Pess’ entire family, but her father, George Pess, emphasized that Sam carried the largest burden. 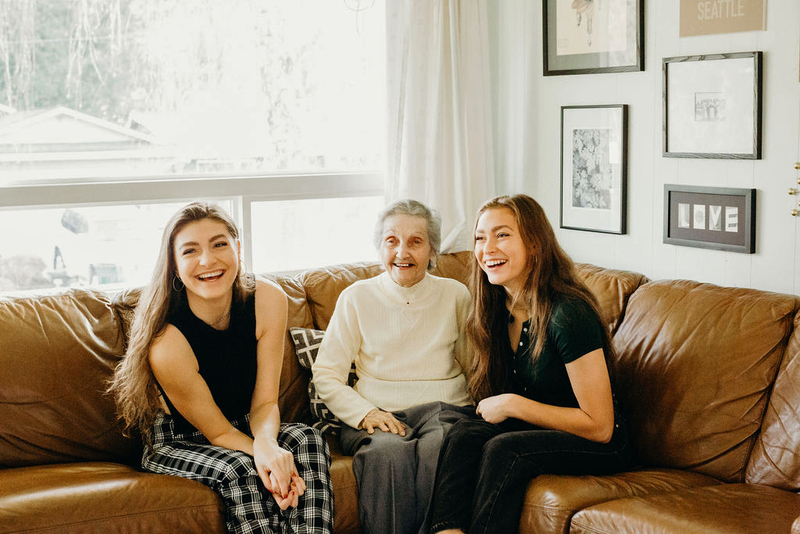 Sam Pess (sophomore), left, laughs alongside her grandmother Kleopatra Pess, middle, and sister Olivia Pess, right. Photo courtesy of Sam Pess. George pointed out that Sam chose to do this for her grandmother. When speaking of the stories Kleopatra has shared with her, Sam’s admiration and love come to the surface. 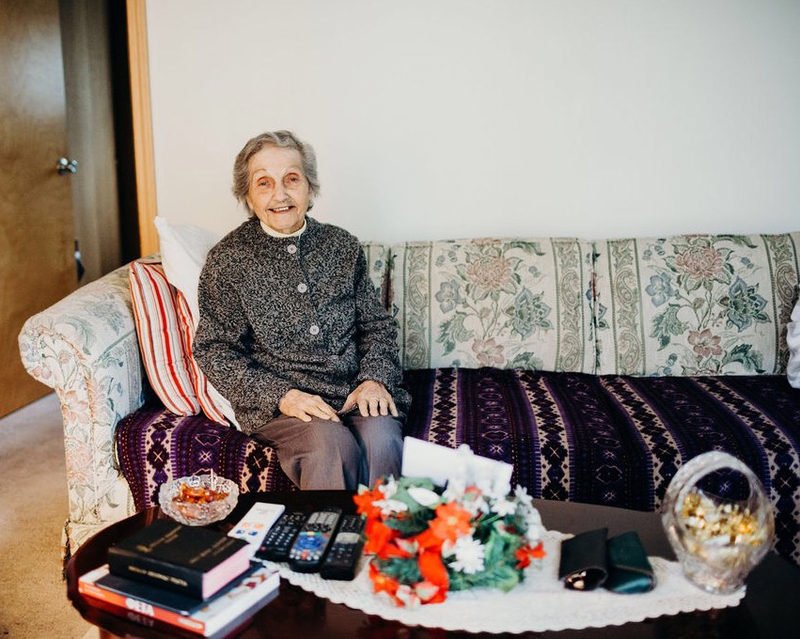 Pess’ eyes widened and excitement filled her voice when she explained that her grandmother grew up in an orphanage in Nazi-controlled Greece during World War II after her parents passed. By age 14, Kleopatra worked full-time to care for her younger sister. 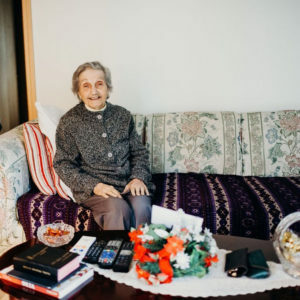 When her aunt and uncle were only able to take in one child, she selflessly told them to take her sister and remained in the harsh conditions at the orphanage. “She has seen crazy stuff. She’s a badass little 4’10” lady who takes no sh**. She puts things in perspective, which is great. It’s very grounding,” Pess said. Kleopatra Pess, grandmother of Sam Pess (sophomore). Photo courtesy of Sam Pess. Kleopatra moved to New York City after the war and then to Seattle when Pess was born to help raise her, essentially becoming a third parent, according to Pess. Kleopatra lived with Pess’ family, so she was there for every moment of Pess’ childhood and taught her how to speak Greek from a young age. Today, they still talk nearly every day through phone calls and FaceTime. 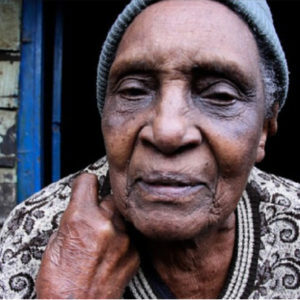 Waruguru Waithira’s story parallels Pess’ in that she, too, has a deep connection with the elderly in her family, stemming from a shared family history and an innate desire to ensure their well-being. 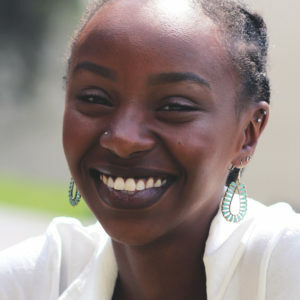 When Waithira last visited her family in the Kiambu District of Central Kenya during her sophomore year, she asked her grandmother, Waruguru wa Ngugi, and great-grandmother, Waithira wa Nderu, about their experiences living under colonial rule in Kenya and witnessing the traumatized nation regain independence. The result of these conversations brought a new depth and bond to their strong relationship, according to Waithira. When she speaks of her family, the pride she holds for her resilient female relatives and their shared cultural history is evident in the intensity of her voice as she carefully chose each word she said. 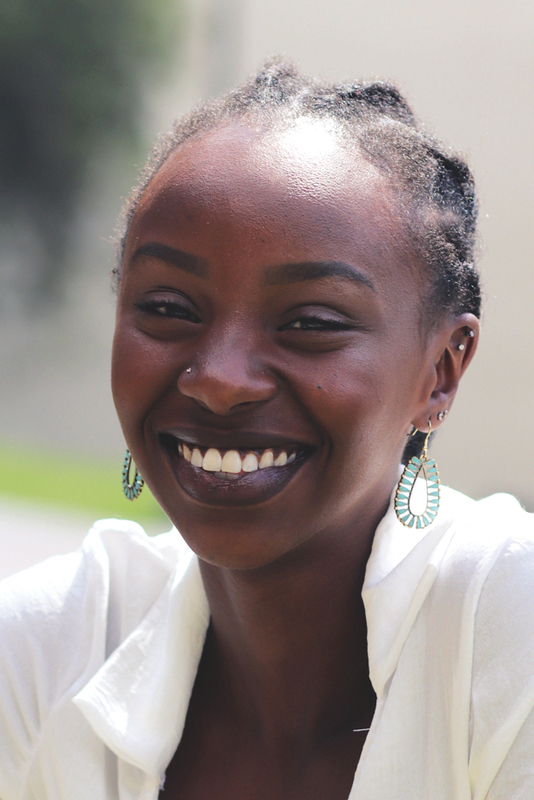 Similarly to Pess, Waithira feels an impulse to help her elderly family while in Kenya. 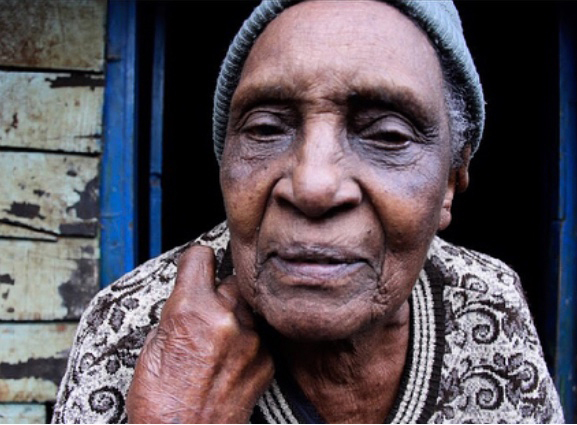 Waithira’s constantly family cares for her great-grandmother, who is over 100 years old. Waithira’s mother, Terry Ngugi, echoed this sentiment and emphasized the cultural significance of caring for the elderly. Waithira’s care and affection for her grandparents are rooted in trauma as much as it is in admiration. Understanding the history of cruelty, oppression and torture in Kenya, and in her own family, created a deeper appreciation for her elders. While in Kenya, Waithira created a documentary capturing interviews with six women who had endured sexual abuse and torture under colonization. Throughout the 1950s, British colonists imprisoned over 1.5 million Kikuyu people, Waithira’s tribe, in camps modeled after Nazi concentration camps. It was during this time that the abuses Waithira’s elders described took place. A deliberate effort by the British government to commit genocide against the Kikuyu motivated violent and brutal methods of sterilizing women and castrating men. However, a guerilla resistance movement managed to not only sustain, but continue to grow the Kikuyu population during this time. Waithira’s great-grandmother was part of this resistance. Waithira wa Nderu, the great-grandmother of Waruguru Waithira (senior). Photo courtesy of Waruguru Waithira. Despite this, British colonists have erased much of the history of the atrocities of colonization, according to Waithira. While this history is forgotten in many history classes, the trauma of these experiences has been passed from generation to generation in Waithira’s family. One story Waithira shared from her documentary was from her grandmother’s childhood. Waithira witnessed how the trauma of this moment and countless others have been passed down to her mother and to her own self. As a result of this shared pain, her family members care deeply for one another. She related this trauma to Americans in a toxically competitive society that prevents family members from spending time together, according to Waithira. This second kind of trauma — the trauma of absence — Waithira spoke of, illuminated larger issues she sees in the way Americans often care for their elderly.